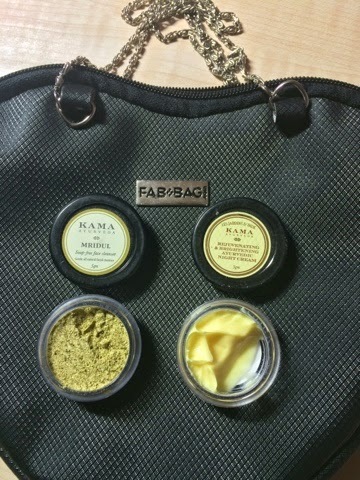 For my friends who aren't aware of Fab Bag, its a monthly subscription bag that charges a fee of Rs. 600/- per month along with some add on discounts and gifts on purchase of the 3 months, 6 months and 12 months subscription. This bag contains 3 deluxe sized product samples and sometimes even full size products. In my experience I have always received at least 4 products with one of them being a full sized product. The arrival of this product could not have had a more perfect timing. I had almost finished my Top coat and that is when this baby decided to knock on my door. The shade tranquil is a beautiful ivory shade and appears to be faintly glossy and shimmery on application. 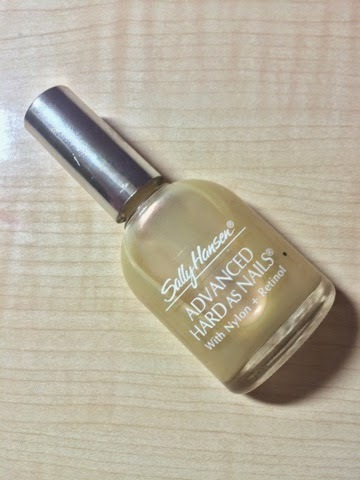 I have applied it as a top coat and a base coat as well and it doesn't let your nail chip. If you are into changing nail colors very often like me it is an ideal product for you as it helps your nail be strong and healthy. I am glad that Livon is back with a boom. The moroccan silk serum is definitely a hit with the benfits of moroccan argan oil and special UV filter. Love the way the serum detangles my hair and makes my hair feel smooth, soft and manageable. Is a real steal for the price offered. Will be purchasing the full size of this product for sure. Kama is one of the best Ayurvedic and natural brand currently in the market. I really am lovestruck by their Bringadi Hair treatment and the Kama Kumkumadi Thailam products. It was not much of a shocker to me when I did end up liking this product as well. 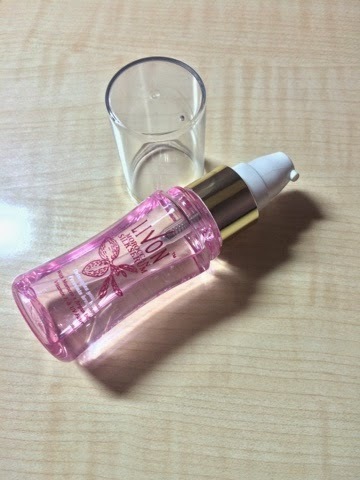 The product keeps my skin well hydrated throughout the night. My skin definitely feels very smooth and bump free in the morning. I have not used the product for a long time to know about its brightening properties so would not like to comment on the same. However, after using it for a week religiously I did notice that my skin tends to have a natural glow in the morning. To be honest I have never used a soap free cleanser and am a little unsure as to how this concept works. I might be a little naive if I say this but after I used this I felt this was more of an all natural exfoliator. Being a natural cleanser the product doesn't lather but the fine granules in the cleanser do exfoliate well leaving your face clean and hydrated. A new concept for me but I guess I can wrap my head around it. 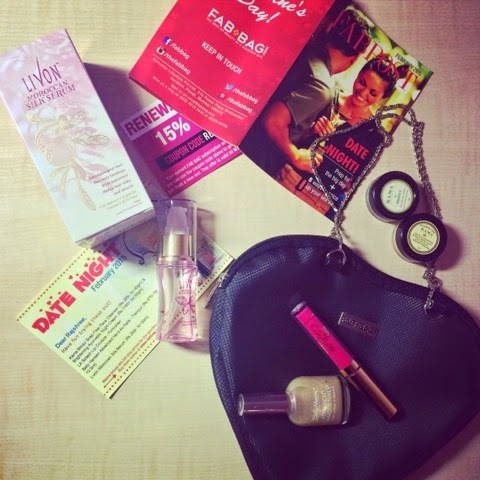 I love the fact that Fab Bag keeps nudging me to try new products and brands with every month. Now last of all lets talk about the show stopper, I am amazed by this lip stain. Its matte and the long lasting nature makes it stay intact upto 9-10 hours straight. It can survive meals and is not transferable. However, you need to be careful while applying as it sets quickly into a matte shade. It does not budge or smudge at all after it sets. The choice of shades is quite amazing as well. I loved technically all the shades but at the same time uber happy with the shade I got. 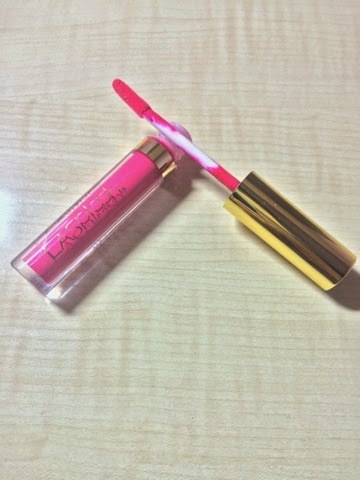 One of the best lip stains I have got. 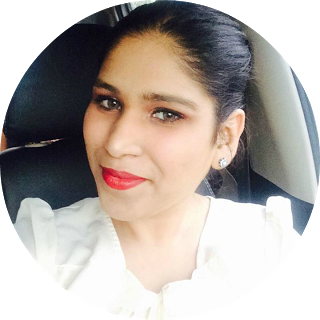 Fab Post: The Fab Post as the theme inspired was totally love oriented. It had a lot of ideas on how to make your date night perfect as well as how to keep your spark by surprising your man. 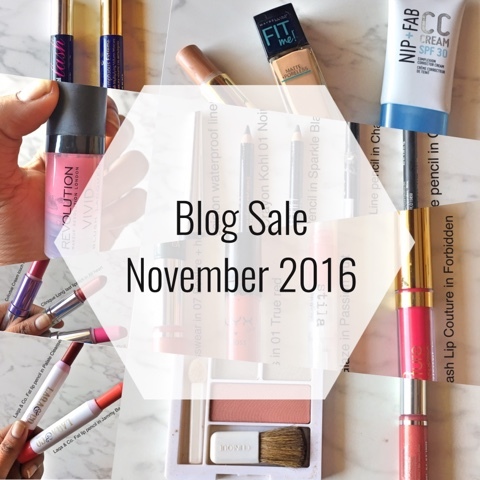 Along with these lovely ideas there were also a lot of huge discounts on various skincare and makeup products. Overall Verdict: A very lovely bag this month. Loved all the goodies. Definitely made me fall in love with it. Most happy about the 15% renewal code they sent me to let me know how much they value my subscription. Hope you liked this review. Let me which products did you get in your February Fab Bag? Also which were your favourite? The pink gloss looks really pretty and the bag is so cute.